As technology continues to shrink the footprint of tomorrow’s devices, LaDeau is prepared to efficiently manufacture miniature precision hinges and hardware. 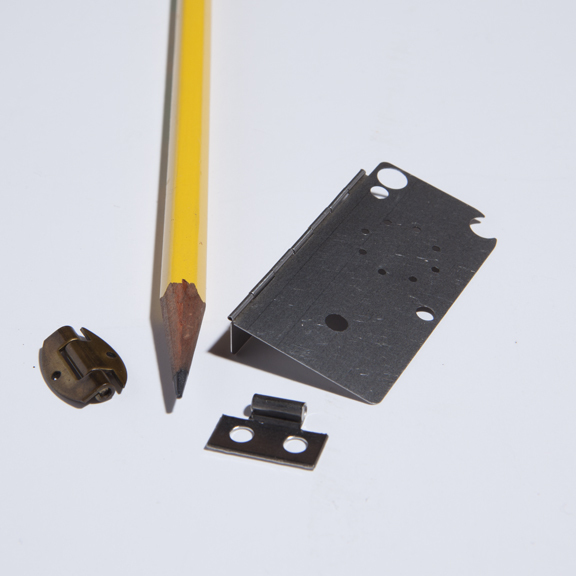 We supply extraordinarily small hinges for critical applications in the medical and electronics industries, among others. Our experience and approach allows us to produce our customers’ unique designs at small scale, while maintaining precision and accuracy. 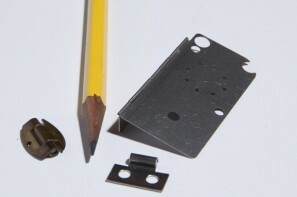 Our general capabilities include material thickness down to 0.008” (0.2mm), pin diameter as small as 0.020” (0.5mm), and holes of diameter as small as 0.050” (1.3mm). Please contact us regarding specifications beyond these. We are also proud to offer automated high-speed production of 0.25” (6.4mm) knuckle continuous designs. All manner of coatings and finishes, forming and other customizations are available for miniature applications.